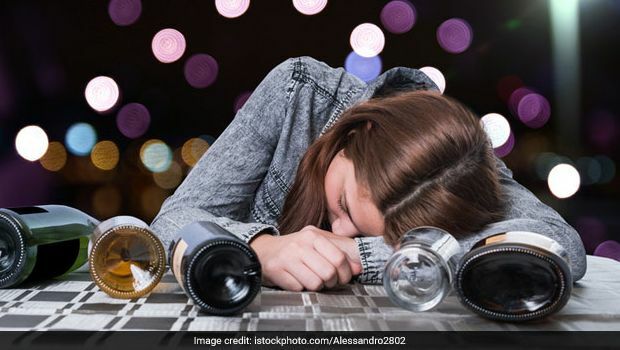 Most people like occasional drinking or what’s called as social drinking, while some like binge-drinking on a daily basis. Some people are able to enjoy alcohol in moderation; others can’t seem to get enough of it. If you are in that stage when you need a drink or two to end your day with, it may mean that you crave alcohol. However, if you struggle to stop after one or two drinks, chances are you may be dealing with intense alcohol cravings. Why do we crave alcohol? What are the factors that trigger this craving? One of the most common factors that is said to trigger alcohol craving is stress and emotional upheavals. Let’s find out more! When you drink alcohol, it triggers the release of endorphins, which are the brain chemicals that bind to some receptors in the brain, causing feelings of pleasure. The more you drink, the more endorphins are released that bind to the part of the brain with reward processing, further making the drinker feel more intoxicated. According to a study published in the Journal Science Translational Medicine, some people’s brains are more likely to respond to alcohol by producing feelings of reward and pleasure, which may cause them to seek that sensation more regularly and thus crave alcohol more than people whose brains don’t work that way. Cravings can be triggered by physical sensations, thoughts and emotional desires; which means you would barely have the will-power to stop yourself from reaching out to that glass. Learning to manage alcohol cravings can be challenging, especially when external situations trigger these cravings. Some of these triggers may include a difficult day at office, a fancy dinner out with friends, a fight with spouse, or even stress. Another factor that induces alcohol craving could be low blood sugar. This can occur after you have had sugar or processed foods. It can also occur when you don’t eat for a long time. Eating these foods cause a quick increase in blood sugar levels, and then decrease again just as sharply. Your body tends to associate drinking alcohol with quickly available carbohydrates, so if you need to cut down on your binge-drinking, you must keep your blood sugar levels balanced. In this case, it is best to avoid eating sugary or processed foods; instead, eat more fibre-rich foods. Basically, the next time you crave for alcohol, eat something rather than picking up that glass. Drinking alcohol is injurious to physical and mental health. Keep a check on your drinking habits and lead a healthy life.